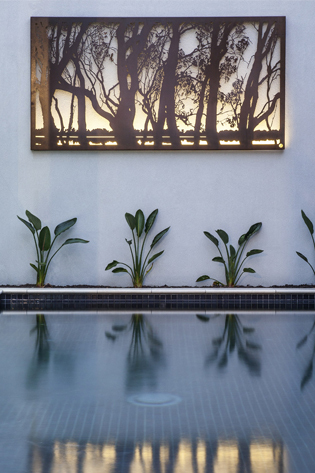 Entanglements is synonymous with stylish metal wall art, sculptures and screens, and they have plenty of designs to help add the finishing touch to seamlessly unite any landscape. 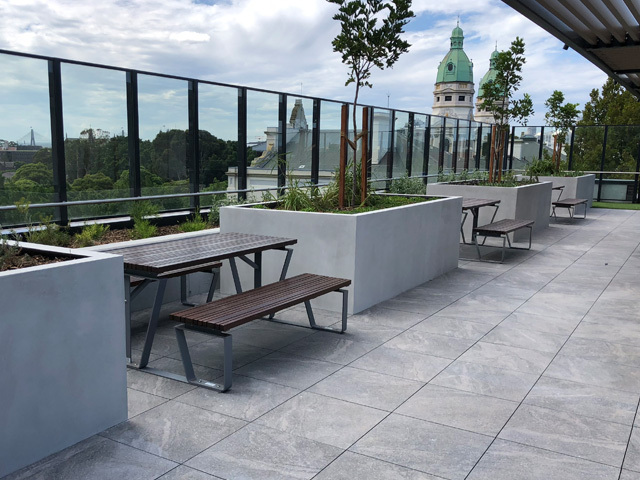 With a range of stylish metal art solutions to complement any design, Entanglements has just what is needed to take any landscape design to the next level. 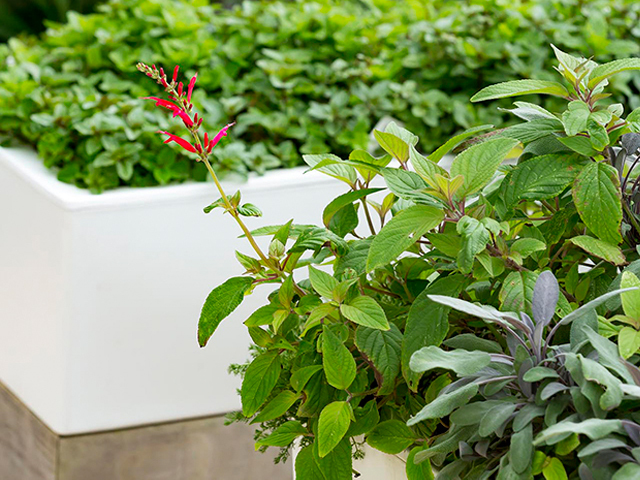 Their latest offerings combine to create a collection of nature-inspired forms with a host of indoor and outdoor applications. 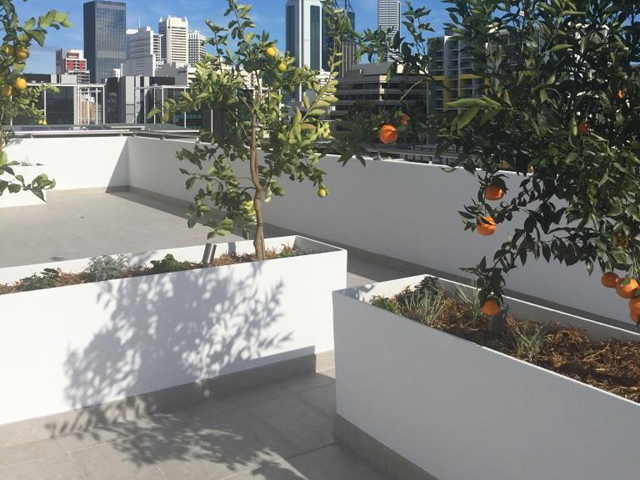 The Murray is one of Entanglements’ most desirable artworks. Inspired by riverbank views of the third longest navigable river in the world, The Murray is a truly iconic Australian piece that captures the imagination. 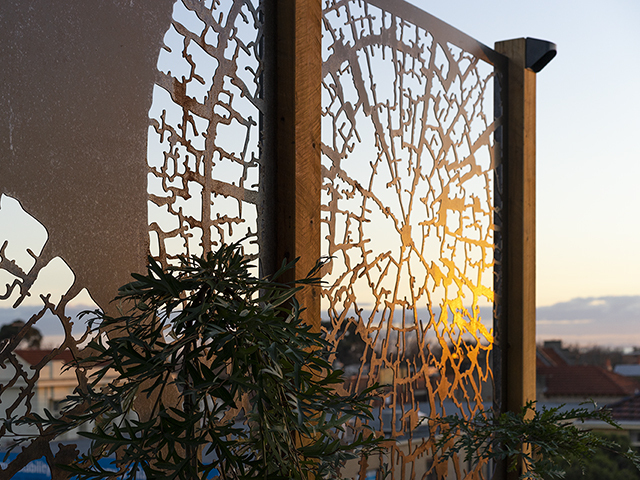 Available in a sealed, naturally rusted steel, powdercoated aluminium, or stainless steel, The Murray creates everlasting imagery that will transform any space. Magnolia Bud stands 2m-tall with a gauzy network of beaten steel rods used to form a symmetrical, unopened flower shape. 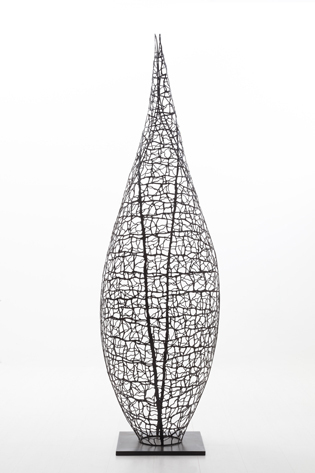 A subtle, chocolate-coloured piece, Magnolia Bud works perfectly in tall narrow spaces where a solid piece may appear too heavy. Magnolia Bud can be used indoors or out and has an air of sophistication that adds definition to any room. 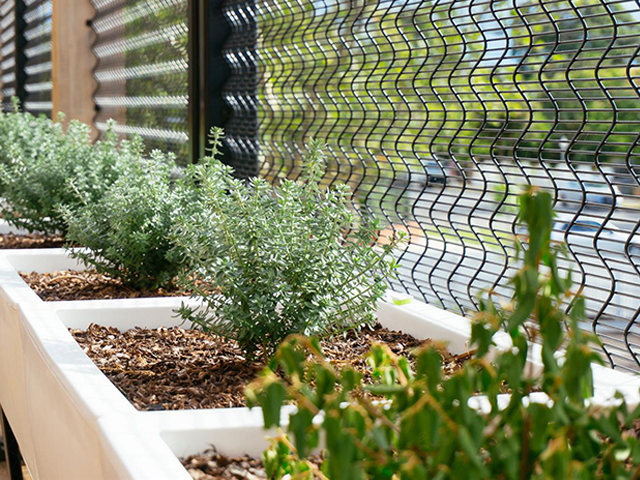 The delicate shape of the Sea Urchin Wire can be used with or without Mirrors and is just as at home on internal plaster walls as it is on external timber, brick or render. The Antique White and Chocolate options allow for greater contrast against opposing colours, allowing the piece to ‘pop’ from the surface of the wall. Subtle effects can also be created with tone-on-tone approaches. 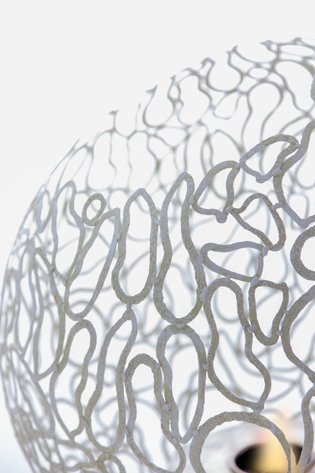 This is where the tactile nature of the Sea Urchin Wire truly comes to the fore. Coastal themes abound at Entanglements and provide numerous opportunities for stylish highlights throughout an interior or exterior environment. The Urchin Pod Burner, made with beaten loops of steel rod, houses a stainless steel bio-ethanol burner that adds a warm ambience to any space. 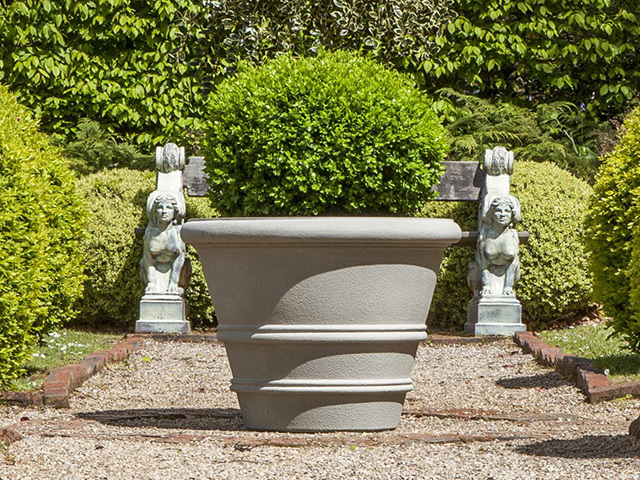 Suitable for use in indoor or outdoor zones, the Urchin Pod is available in Antique White and Chocolate and is guaranteed to make a statement. Designer screens are a speciality for Entanglements, and with so many beautiful concepts like Kelp, Veronoi, Growth Rings and Coral to choose from, the hardest task will be choosing just one. 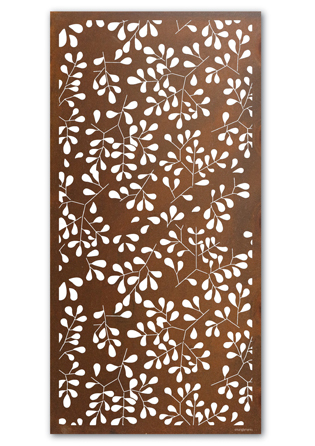 All decorative screens are available in sealed, naturally rusted steel, powdercoated aluminium, or stainless steel. 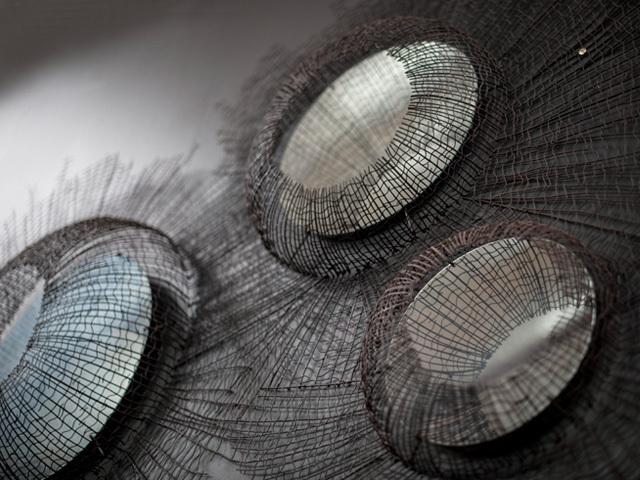 Images (top to bottom): Sea Urchin Wire with Mirrors - courtesy of Glen Eira City Council; Magnolia Bud - image by Entanglements; Kelp design screen - image courtesy of Entanglements; Urchin Pod - image courtesy of Entanglements; The Murray - courtesy of Arora residence.